Let be honest. No one likes losing. No one’s ego is superficial enough to accept defeat without reservation. I suspect Mother Teresa didn’t like things not going her way… and so the concept ‘good loser’ was invented by a loser with a big beard who had never had a bad day in his jolly life. Because I’ll never be invited to the Saint’s table, I redefine the term ‘bad loser’. I’m awful. Shameful … and it doesn’t get better with age. Trust me, I checked. I’m still the same as the day I crossed the line before everyone else in my nappies. Yup, I’m unashamedly proud to remind anybody in earshot that I won and YOU didn’t. Unfortunately, God has a wicked sense of humour. That whole ‘everyone is a winner’ thing … he takes it very seriously (I know right? I mean who does that?). Which means there are many (countless) days when I’ve curled into a ball of unshed tears because someone else got the gold. Gold, you say… well no, not the one lives get lost for on mines. Although I suspect #TeamCPT of MrPrice #BlogOlympics kept their heads attached simply because of the fact that it is illegal to decapitate people. It was tempting, though. 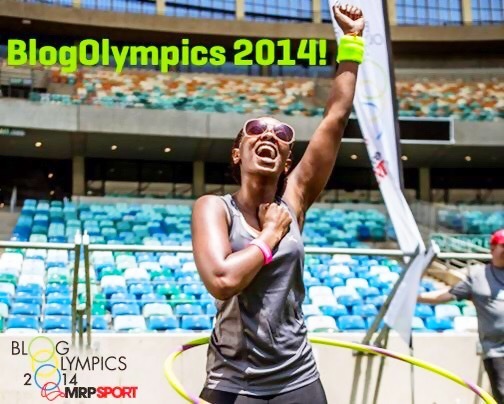 Mr Price Sport most certainly upped the ante in the 2014 edition of #BlogOlympics. And I should be paid for this understatement. Once again held at (breathtaking) Moses Mabhida Stadium . The addition of a number of sponsors kept us wide-grinned. Seriously, we all had silly faces throughout. You know that kid who always looks like they know something you don’t? Well that was us. All teams had a face lift. From Jozi, four of us had previously experienced the Blog Olympics. Unfortunately, that changed nothing in terms of standings. Going into the ‘games’ I, of course, checked out the teams. #TeamDBN looked the most threatening on paper. I was panting. Their weak links last year were the girls. As the most competitive person alive, I knew that was always going to be to Jozi’s advantage. But this year they had Cross-fit girls. I’ve been one of those and I know how tough they are. I was panting! 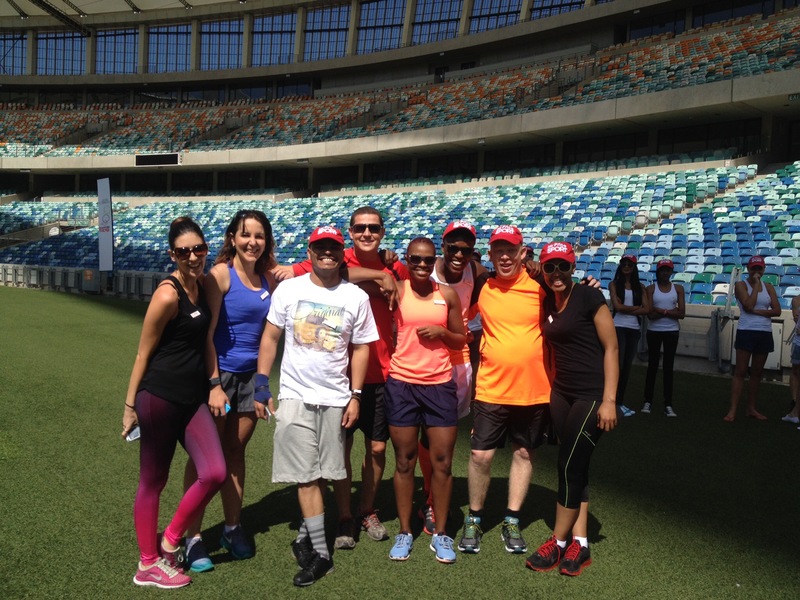 #TeamCPT looked beyond average, but most certainly stronger than #TeamJozi … I was panting! We had a crappy start. While favourites Durban sailed into the lead, followed closely by Cape Town. We collected least points in first 6 challenges (except for the very first). Then dominated the remainder, including victory by a whopping two minutes on the obstacle course. While the rest of my teammates were optimistic we could take gold, I knew Cape Town had won. The judges may dispute this, but I’m pretty sure I know how the Mountain Goats pulled it off. One of the impromptu challenges was for 50 points (all others were for 15, 10, and Five). It was a 50m sprint off between the team’s fastest members. Our guy, Neil Morrison, was the fastest. Unfortunately, this race was like watching Usain Bolt getting ready to break world-records. Or Chad le Clos’ dual with Michael Phelps … without the happy ending. This Morrison kid has the worst start in history … his reaction time is a bit like the Water Board reacting to a provincial shortage of H2O. As a result, Dylan Moore deservedly won the race… and ultimately won #BlogOlympics 2014 for CPT. One of their crew members, Ryan Wallace, won overall male, while my competitiveness earned me the female winner’s title. FTW! Sincere congrats to the gang from the coast. Yup, I’m bitter and hoping to crush you in 2015. 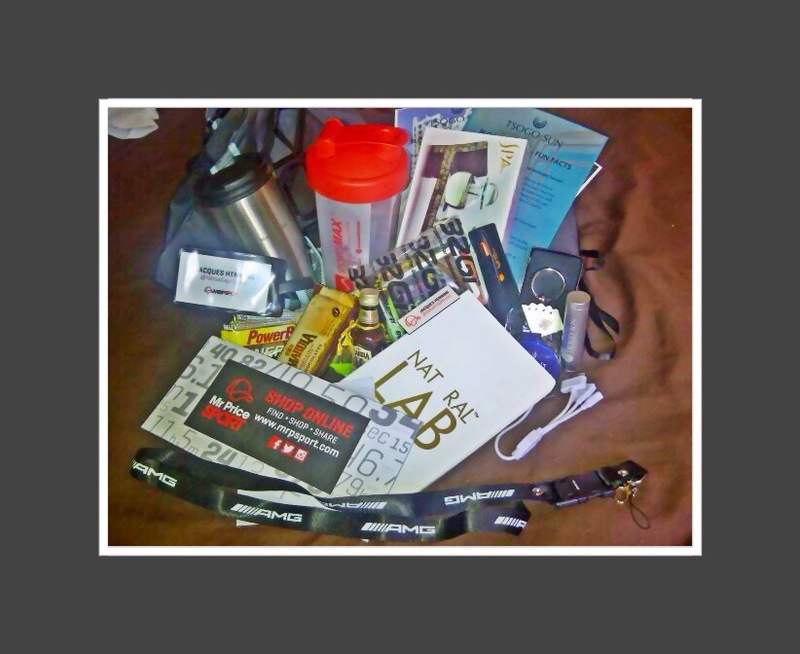 32Gi, The Springbok Lodge, Merc Umhlanga, Miss K Ice Cream, Energade, The Mercury. 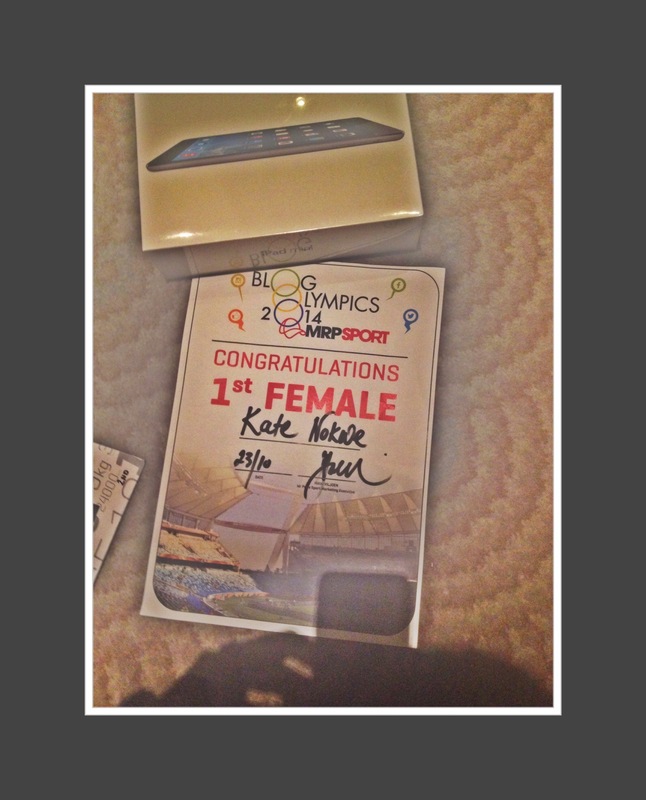 This entry was posted in health & fitness and tagged Blog Olympic, Moses Mabhida Stadium, Mr Price Sport, Umhlanga. Bookmark the permalink.